Do you have any prejudice against my laziness? I can hear your hearty laugh looking at my new pattern in flickr: yes, it is exactly that, only a cloverleaf pattern!! (or trefoil, how do you call it?) I admit, I'm quite ashamed for putting a copyright on it!! Your clover edging is completely original with its curled rings, thanks for sharing it with us! 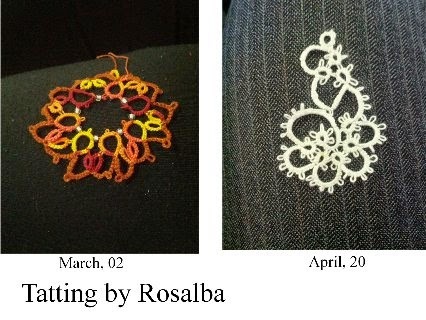 Well done to Rosalba. And her teacher, of course. 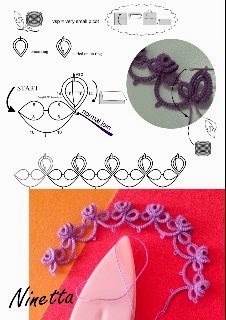 Thanks for the pattern, Ninetta :-) Curled Clovers edging !